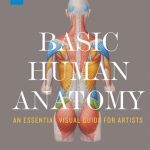 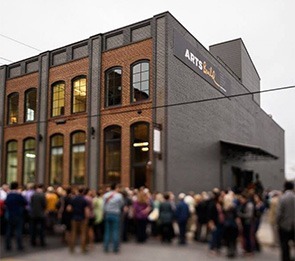 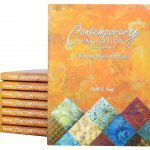 Paint, draw, and sculpt in functional style! 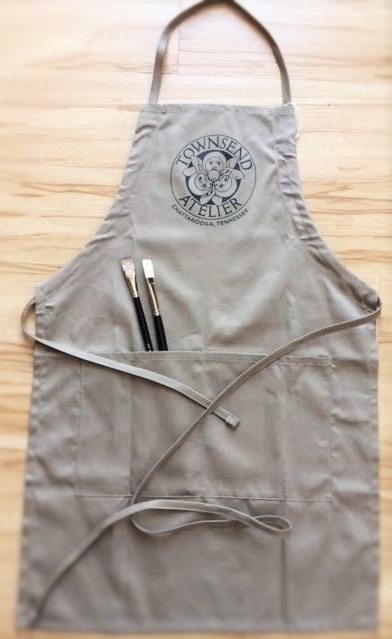 Our Townsend Atelier artist aprons feature adjustable neck strap, tie back, and three deep front pockets to hold all of your tools. 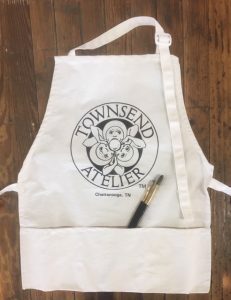 Made of sturdy but lightweight canvas in natural color with black Townsend Atelier logo printed on the front. 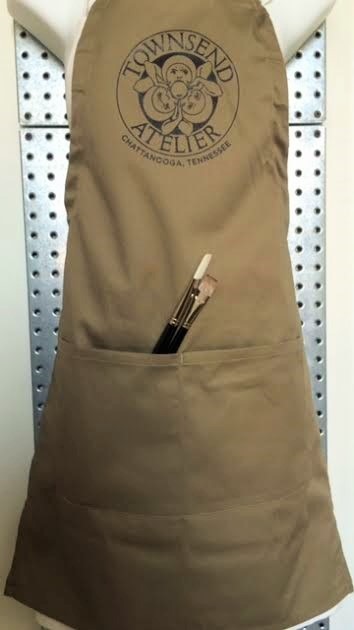 Our Townsend Atelier artist aprons feature adjustable straps and three deep front pockets to hold all of your tools. 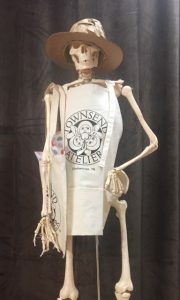 Modeled by Cecil, the studio skeleton. 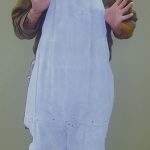 Hat by Po Devil.